When French pianist Romain Collin and Hawaii natives double bassist Shawn Conley and drummer Abe Lagrimas, Jr. got together in Honolulu there was no special agenda; just three friends playing a few gigs in a relaxed environment, far from the hurly burly of their adopted cities of Los Angeles and New York. However, a trio chemistry was born and shortly afterwards a three-week writing/recording session in an idyllic location ensued. As the title suggests, the music is pretty laid back. That said, the seven originals and tunes by Chick Corea, Thelonious Monk and singer-songwriters Bob Dylan and Christina Courtin boast a stylish sophistication that underscores the sunny, feel-good vibe. Pretty, lilting melodies and light, shuffling grooves are the order of the day. Lagrimas, Jr employs brushes in the main and Conley's use of space is as notable as his rich, earthy bass lines. 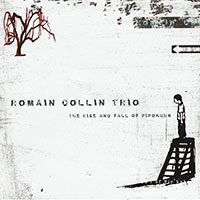 Collin, who's made a name for himself following acclaimed solo recordings The Rise and Fall of Pipokhun (Fresh Sound New Talent, 2009) and The Calling (Palmetto Records, 2012), may stand out as the main protagonist, but this is far from a chops fest; very much a collective statement, the trio's emphasis is on tuneful interplay. 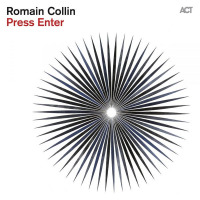 Contrasts in pace characterize Collin's "Great Ocean Road," from the skittering brushes, sparse bass pulse and soft piano musings of the intro to the epic climax. In the middle, Collin unfurls a solo that grows from lyrical stirrings to powerful elegy. The pianist's simmering "Slow Down" is delightfully seductive, with his slowly winding, bluesy melody buoyed by less-is-more bass and Lagrimas, Jr's brushwork that combines metronomic beat and shaker-like pulse. Corea's "Humpty Dumpty" is taken at the original's sprightly tempo, with Conley's sawing arco giving way to fast-walking bass. The trio really loosens up here, with Collin's flowing improvisation followed by short back-and-forth exchanges between bass and drums. More original is Monk's "Light Blue," which, once past the famous melody, shifts between slow blues and fast skipping tempos; Conley takes a fine solo but it's Lagrimas, Jr's playful rhythms and jittery accents that stand out. Melodically, "Blowin' in the Wind" is a little too faithful to Dylan's original to get the juices flowing. More satisfying is the balladic, gospel-tinged interpretation of the versatile Courtin's "Join Us Jackson." Here, and on his original composition "Dowsett Avenue," Collin's playing is nicely understated, conceding protagonism to the tunes' melodies over any shows of virtuosity. Similarly, the pianist's "Northern Dreams," which revolves around a slow, eight-note piano motif, rumbling mallets and sighing cymbal is all about mood. Conley chips in with two contrasting compositions; the melodically appealing, rhythmically engaging "Yann's Flight" with its undeniably Latin heart, and the lovely solo piano piece "Stay With Me," which closes the set on a tender, meditative note. The pristine recording quality enhances a relaxed, lyrical session that's as much the product of place as it is a meeting of musical personalities. 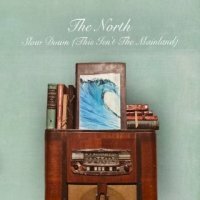 The Northa first in Franco-Hawaiian jazzhas created a unique trio sound whose quality and sincerity shines through. It's the perfect soundtrack for balmy summer evenings, wherever they fall. Track Listing: Great Ocean Road; Slow Down; Humpty Down; Join Us Jackson; Dowsett Avenue; Light Blue; Yann’s Flight; Blowin’ in the Wind; Northern Dreams; Stay With Me. 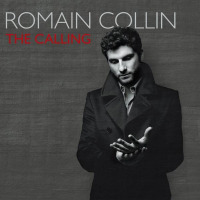 Personnel: Romain Collin: piano; Shawn Conley: double bass; Abe Lagrimas, Jr: drums.